Landlords, Land Agents & Property Developers specialising in high quality projects throughout the UK. We are always looking to purchase quality properties anywhere in the UK, so if you are thinking about selling, contact us for a cash offer. We offer a selection of development sites for sale Nationwide. Most have planning schemes approved for immediate development. Cherry Properties have short term rental opportunities available in UK and International locations including Italy, South Africa, South of France & Poland. Cherry Properties are Landlords, Land Agents & Property Developers specialising in high quality residential and commercial projects throughout the UK. We are based in Hessle, East Yorkshire and have an experienced team of specialists providing a complete range of services from planning consultancy and architecture right through to project management. We are always looking to purchase quality properties anywhere in the UK so if you are thinking about selling contact us for a cash offer. 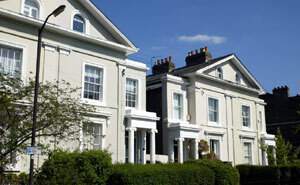 We also require land sites both greenfield and with planning permission. We offer a selection of development sites for sale nationwide. Most have planning schemes approved for immediate development. We will consider joint venture schemes or outright cash purchases. 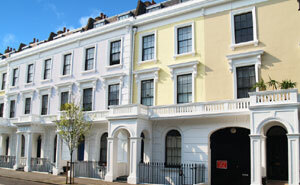 Cherry Properties have short term rental opportunities available in both UK and international locations. Current availability includes Carate Urio, Lake Como, Italy, Western Cape, South Africa, Nice, South of France. Cherry Properties are proud to be members of The National Landlords Association. This gives you peace of mind that we adhere to their code of conduct and provide the highest level of service and professionalism at all times. Hessle, Freedom Quay, Hull Marina, Hull, Willerby, East Yorkshire, Cottingham, Anlaby, North Ferriby, Brough, East Hull, West Hull, Hedon, York, Yorkshire, Manchester, Liverpool, Docklands, Limehouse, Maida Vale, Marylebone, London, Westbridge Gardens, Glasgow, Carate Urio, Lake Como, Italy, Warsaw, Poland, Western Cape, South Africa.